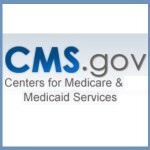 Today, CMS issued a Blog on Clarifying, Eliminating and Enforcing Special Enrollment Periods as well as two FAQs: (1) SEPs no longer utilized by the Federally-facilitated Marketplace and State-based Marketplaces using the Federal Platform and Future CMS Actions, and (2)FAQs on the Marketplace Residency Requirement and the Special Enrollment Period due to a Permanent Move. The action we are taking today announces the elimination of several unnecessary special enrollment periods, clarifies the definitions of other special enrollment periods, and provides stronger enforcement so that special enrollment periods serve the purpose for which they are intended and do not provide unintended loopholes. We’ll continue to monitor how special enrollment periods are used and may make changes in the future as Marketplace systems and operations continue to improve. 2. Clarifying Eligibility: Our review of current special enrollment periods also showed that some of the eligibility guidelines need to be further clarified so consumers can understand the intent and so they will not be abused. Today we are updating guidance to more clearly define the special enrollment period that is available to consumers who permanently moved, and as a result, gained access to new health plans. Specifically, we clarify that this special enrollment period cannot be used for a short-term or temporary move where the consumer doesn’t plan to stay in their new location, including situations in which a consumer is admitted to a hospital for treatment in a different area. This clarification is intended to assist consumers, brokers, issuers and others in understanding who is eligible for this special enrollment period. 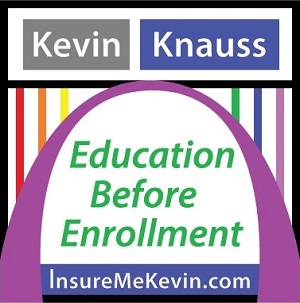 If we identify other areas where the rules for special enrollment periods are unclear, we will issue additional clarifying guidance as needed. 3. Enforcing the Rules: Finally, we will take steps to make sure that consumers understand and comply with the rules. We will conduct an assessment of plan selections that are made through certain special enrollment periods to evaluate whether consumers properly accessed coverage. Our program integrity team will pull samples of consumer records nationally and may request additional information from some consumers or take other steps to validate that consumers properly qualified for these special enrollment periods. The findings from the assessment will help us to inform future policy and operational improvements to enhance program integrity. Additional details will be provided in the coming weeks. To be eligible to enroll in a Qualified Health Plan (QHP) through the Marketplace, an applicant must meet the three requirements outlined in 45 C.F.R. § 155.305(a): 1) be a resident of the service area of the Exchange; 2) be a U.S. Citizen, U.S. National, or a lawfully present non-citizen; and 3) not be incarcerated, other than incarceration pending the disposition of charges. An applicant who meets these three requirements is considered a qualified individual (QI) and is eligible for coverage through the Marketplace. A QI may only enroll in a QHP through the Marketplace during the Marketplace Annual Open Enrollment Period or a Special Enrollment Period. Special Enrollment Periods are provided when a QI or his or her dependent experiences a qualifying event. As provided at 45 CFR § 155.420(d)(7), if a QI or his or her dependent gains access to new QHPs as a result of a permanent move, he or she (or his or her dependent) may qualify for a Special Enrollment Period to enroll in or change QHPs. Throughout this document, the Special Enrollment Period authorized by § 155.420(d)(7) will be referred to as the “Permanent Move S E P”. These FAQs provide guidance on the Marketplace residency requirement and eligibility for the Permanent Move S E P.
Q1. What is the residency requirement for adults age 21 and over seeking Marketplace coverage? 2) where he or she “intends to reside”2 (including without a fixed address); or where her she has entered into a job commitment or is looking for a job (whether or not currentlymployed). A separate Marketplace residency standard applies to individuals age 21 years or older who are living in an institution, incapable of indicating intent, or receiving an optional State supplementary payment. For more information, see 45 C.F.R. § 155.305 and 42 C.F.R. § 435.403. Q2. What does “service area of the Exchange” mean? In general, “service area of the Exchange” means the State in which the Exchange operates. The Marketplace uses the term “service area of the Exchange” in its regulations to account for Marketplaces that may not exist in an entire state or that exist across state lines. It also accounts for situations in which a Federally-facilitated Exchange operates in a State. Because all Marketplaces currently operate on a state-wide basis, and not across or within state lines, the Marketplace residency standard can be understood to create a state-based residency requirement. For the purposes of § 155.305(a),”intends to reside” means that an applicant has a present intent to reside where he or she is living, and intends to remain in the Exchange service area where he or she is seeking coverage. Individuals visiting an Exchange service area for a transitory purpose, for example, to attend to a business matter, obtain medical care, or for personal pleasure, do not have a present intent to reside, and do not meet the residency requirement for Marketplace coverage for the Marketplace service area they are visiting. Certain individuals who cannot indicate intent, such as children, can establish residency without showing intent to reside. For more information, see Questions 1 and 4 as well as 45 C.F.R. § 155.305(a)(3) and 42 C.F.R. § 435.403. Q4. What is the residency requirement for children under age 21 seeking Marketplace coverage? For most individuals under the age of 21, the service area of the Exchange for the purposes of determining residency is: where the individual resides (including without a fixed address); or the residence of a parent or caretaker with whom the individual resides, consistent with the standard described in Question 1. A separate Marketplace residency standard applies to individuals under the age of 21 who are living in an institution, receiving Federal payments for foster care or adoption assistance under title IV-E of the Social Security Act, receiving an optional State supplementary payment, or are emancipated. More information on these standards can be found at 45 C.F.R. § 155.305 and 42 C.F.R. § 435.403. Q5. Does an individual over the age of 21 who is capable of indicating intent and is receiving medical treatment out of state at an inpatient hospital or similar medical facility meet the residency requirement in the Exchange service area where he or she is receiving care? No, such an individual does not meet the residency requirement by virtue of receiving inpatient medical treatment or similar medical treatment in the service area of an Exchange. (They may otherwise meet the residency requirement by meeting the standards described in Questions 1 and 4.) Individuals receiving inpatient medical treatment do not have the present intent to reside in the medical facility; they are visiting for the purposes of medical treatment and do not meet the Marketplace residency requirement by reason of their visit to receive treatment. Q6. Can Individuals residing in the U.S. Territories meet the residency requirements for Marketplace coverage? Although individuals from the territories are often U.S. Citizens or U.S. Nationals, a resident of a U.S. Territory does not meet Marketplace residency requirements while he or she is residing in the Territory. This is because, at the time of this publication, no U.S. Territories have opted to establish a Marketplace; instead, they have used specially designated funds to expand Medicaid to their residents. An individual from the U.S. Territories who is residing in a U.S. state or the District of Colombia may meet the Marketplace residency requirements as outlined Questions 1 and 4. If an individual moves to a new Exchange service area (i.e. state) and meets the requirements in 45 C.F.R. § 155.305(a)(3)—as explained in Questions 1 and 4 above—with respect to the new location, then the individual will meet the Marketplace residency requirement in the new location. Enrolled Marketplace consumers must report any and all moves to the Marketplace within 30 days by calling the Marketplace Call Center at 1-800-318-2596 (TTY:1-855-889-4325) or by visiting HealthCare.gov, logging in, and selecting “report a life change” from the menu on the left. The individual should provide his or her new address in the “Get Started” section of the application. The Marketplace will determine if the move resulted in a change of residence for the purposes of Marketplace eligibility and whether the consumer is eligible for a Marketplace plan for the Exchange service area in which he or she is seeking coverage. Q9. Does an individual’s residence change when he or she leaves an Exchange service area temporarily? No. An individual who leaves an Exchange service area temporarily with intent to return to the original Exchange service area continues to be a resident for the purposes of Marketplace coverage during the temporary absence. Q10. If an individual lives in one Exchange service area but works in another, where is the individual’s residence for the purposes of Marketplace coverage? It depends. An individual can establish residency in more than one service area, as long at the appropriate residency standard is met (see Questions 1 and 4). An individual, such as a seasonal farmworker, who lives and works in one service area but maintains a home in another service area where he or she lives other than during the seasonal employment, can establish residency in either or both services areas (i.e., states). In contrast, an individual who does not live in the service area where he or she works (for example, an employee who crosses state lines daily for work) does not meet the residency requirement in the state of employment. An individual who establishes residency in more than one service area is eligible to enroll in a QHP through the Marketplace in either or both locations (if all other eligibility criteria are met). Q11. If an individual travels between homes in different Exchange services areas throughout the year, where is an individual’s residence for the purposes of Marketplace coverage? Q12. How does someone qualify for the Permanent Move S E P to enroll in a QHP or change their enrollment in a QHP? To qualify for the Permanent Move S E P under 45 C.F.R. § 155.420(d)(7), a QI or his or her dependent must gain access to new QHPs as a result of a permanent move. For the purposes of qualifying for this S E P, a move is considered permanent if a QI (or his or her dependents) moves and meets the Marketplace residency requirement—as described in Questions 1 and 4 with respect to a new location. An individual who moves to a new location temporarily without an intent to reside there or otherwise meeting the Marketplace residency requirement, including for personal pleasure or to obtain medical care, does not qualify for the Permanent Move S E P.
Similarly, an individual who moves permanently, but does not gain access to new QHPs as a result of the move, would not qualify for the Permanent Move S E P. For example, this may occur if an individual permanently moves within the same apartment building, neighborhood, town, or county, depending on the QHPs offered in the individual’s service area. Q13. Can an individual who meets the residency requirement in more than one location qualify for the Permanent Move S E P? As described in Question 10, in limited circumstances an individual may meet the residency requirement in more than one location. 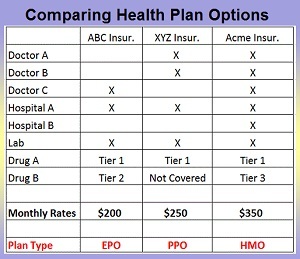 Such individuals may qualify for the Permanent Move S E P to enroll in or change plans when they move between Marketplace residences, but they should consider whether they would benefit more from enrolling in a QHP that offers a national provider network or out-of-network coverage instead. Q14. Can an individual who moves to an inpatient hospital or similar medical facility to receive medical treatment qualify for the Permanent Move S E P? No, an individual who moves to an inpatient hospital or similar medical facility to receive medical treatment is not eligible for the Permanent Move S E P because such an individual does not meet the Marketplace residency requirement with respect to the inpatient hospital or similar medical facility. Q15. How should individuals report a permanent move to the Marketplace? by calling the Marketplace Call Center at 1-800-318-2596 (TTY:1-855-889-4325) or by visiting HealthCare.gov, logging in, and selecting “report a life change” from the menu on the left. The individual should provide his or her new address in the “Get Started” section of the application as described in Question 8. S E P for 60 days from the date of the move. Beginning January 1, 2017 (or earlier at the option of the Marketplace), individuals will be able to report a permanent move up to 60 days in advance of the move to qualify for advance availability of the Permanent Move S E P to enroll in or change QHPs prior to the move in order to minimize a gap in coverage. The coverage effective date of this new coverage will be the first day of the month following the move.